Earlier this year, I started with a new client. A Swiss Startup offering watchmaking courses. In one day you can completely assemble your own personalised mechanical watch. I’m in charge of improving their visibility online. Read the full case study here. Since August 26th, the founder Mathieu and his company are featured in an hour long show. Screening every Friday on prime time for 6 weeks. You can have a look at the previous episodes. The show is bringing a lot of traction to Initium. September is also the moment to announce the new season of the Swiss Tech Talks. The first event will be on Machine Learning and Personalised medicine. Please feel always free to reach out for free tickets. Soon we will announce the “Office Hours Basel” too. These are short coaching sessions with experts. Stay tuned. The main event will happen in November. Since I’m quite involved in the organisation and the event is nearing, the amount of work explodes. I’m mostly helping out the communication team. Our mission is to explain the concept, recruit volunteers/participants, attract visitors to the museum and broadcast the event to the other Museomix communities. During the whole month of September, we are presenting the faces behind the project. Follow us on Instagram and meet the family. The blog is now 7 years old! 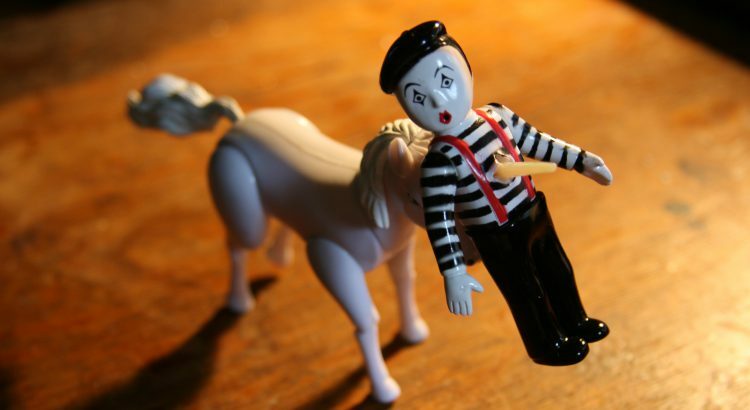 And every anniversary gets its unicorn (image Creative Commons user rdmey). I did expect an opportunity for a free watch experience for non professionals… honestly! !